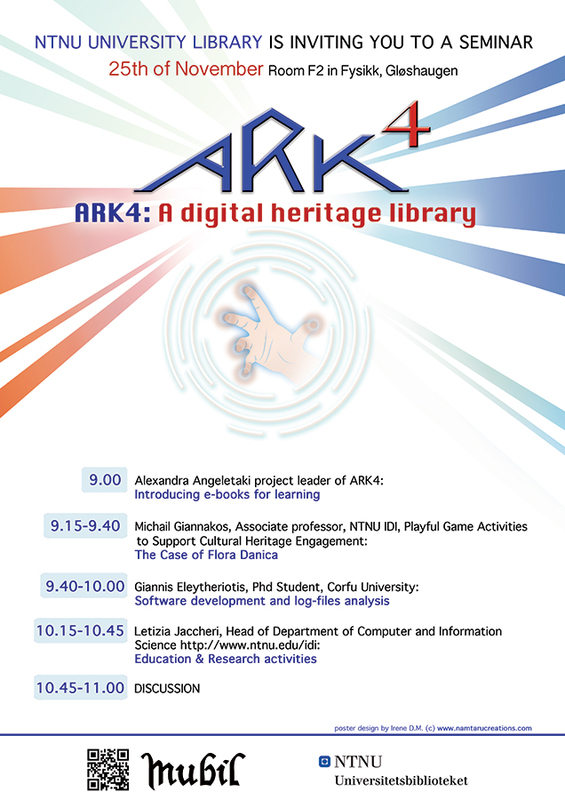 ARK4 experiments with content, appearance and user design, to create a new virtual space of dialogue between the person asking the question and the organisation holding the answer, to explore the role of technology in disseminating information in a way that reaches a wider public – especially of a young age. Workshops, games, 3D environments are all tools in the new and diverse archivist kit. 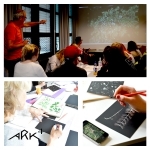 The prototype was launched in June 2014: a workshop on plants with the Ringve Botanical Garden, Vitenskapmuseet in Trondheim and Bjørn Sæther. Twelve students from the Steiner School in Trondheim took part. On February 7th, 2015 a second workshop was organized in collaboration with our international partner and evaluator, Athena Research Center, in Athens, Greece and the Norwegian Embassy at Athens. School children of an age from ten to 17 participated and enjoyed activities and touch-screen games. 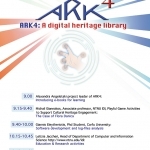 The results will be published in a report and presented in an EAA conference in September 2015. Two more applications are about to be launched – one based on the content provided by the Deaf Museum of Trondheim with Line Norsveen as our partner and one devised by content developer Gunnar Sørum from the States Archive of Trondheim. Both applications will be tested during the following months. ARK4 has recently completed a film with the project Opp i Dagen and its Rødøy leader, Anne Katrine Meland. The project is creating activities in the immediate community in order to engage school children and local enterprises in the seek of knowledge of the past. 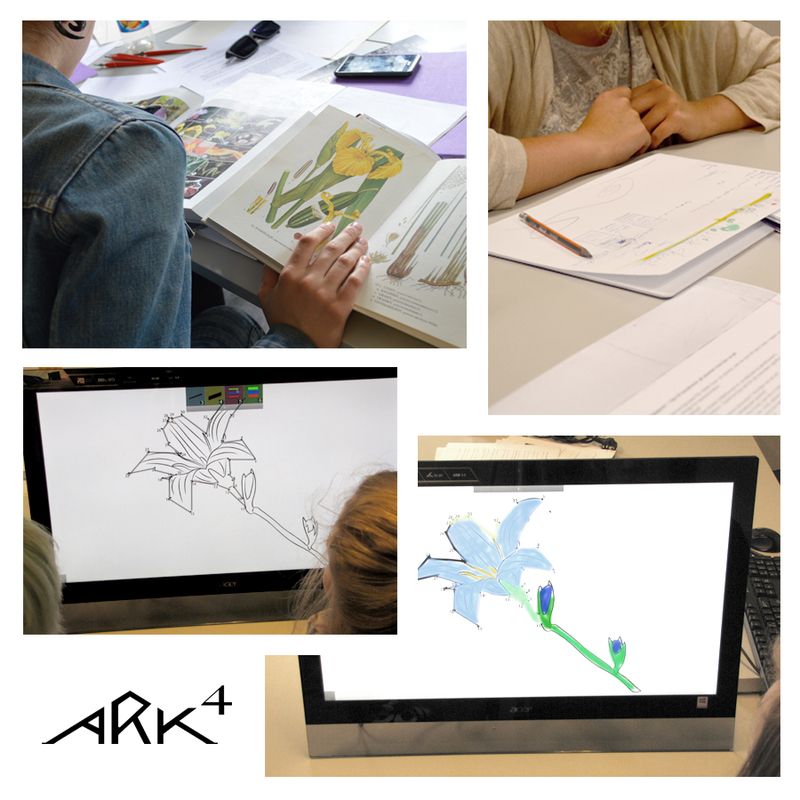 The film will be supplemented by other activities, including games and quizzes, to be played in the workshops organized by ARK4 in May, in collaboration with Anne Katrine Meland.